West Dade Regional Library was having a slow day. Two voters go through the verification process at the West Dade Regional Library before getting their ballot. 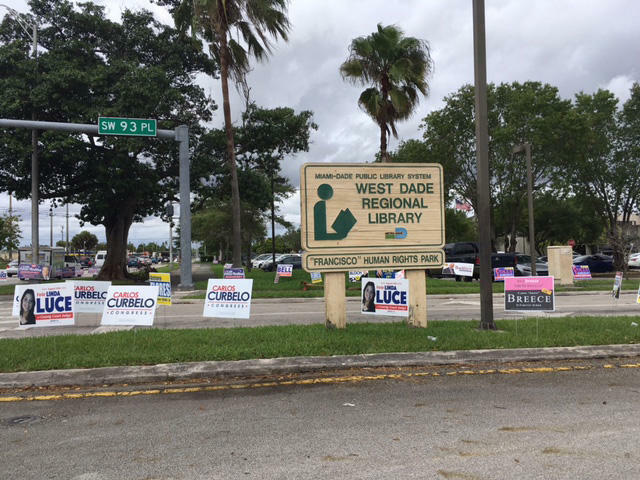 The area around the West Dade Regional Library was filled with campaign propaganda. At the Coral Gables Library there were more campaign workers outside than voters inside. 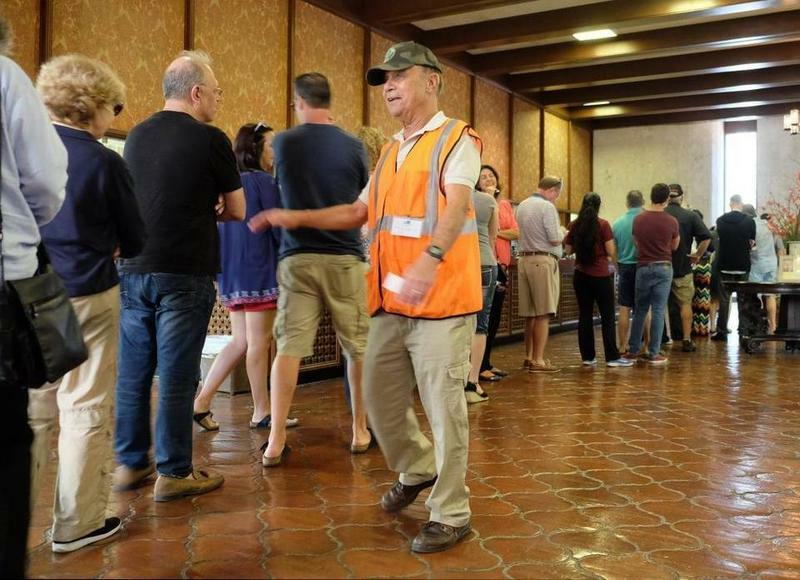 Poll workers in South Florida saw a steady trickle of voters, though in some areas rain may have affected turnout in the afternoon and into the evening hours. Anovre Belizere, a Little Haiti voter, waited for the rain to subside a bit before coming out. Belizere, a private tutor, said he he was concerned about the downpour. Anovre Belizere says probably the rain scared away voters. "It's raining, I didn't see a lot of people coming voting," he said. Belizere declined to say who he voted for in individual races, but he said he voted no on Amendment 4 which would give business owners tax breaks when they install solar panels. Sean Shuffler, a self employed investor in Little Haiti, said he is unhappy with the general lack of leadership in Miami, with one exception. He likes Mayor Carlos Gimenez and voted to keep him in office. In Miami Springs earlier in the day, Amelia Flores, administrative trouble shooter for the Miami-Dade County Elections Department, said everything was going smoothly. “We haven't had any reports of technical problems, but we wanted to proactively visit the precincts in our area to let them know we are available,” said Flores, who was also assigned to the Hialeah area. Voters assigned to precincts in Miami Springs could vote in five minutes or less this morning. At the John F. Kennedy Library in Hialeah, voters were a little confused about how to get inside. The library is currently undergoing renovations that are blocking the main entrance. A poll worker wearing an orange vest guided voters to a side door. But some voters at the library were at the wrong voting place altogether. One of the precincts that used to vote in the Library was relocated to the Immaculate Conception Church two blocks away. A voter named Laz, who did not want to give his last name, was not happy about the change. “I have always voted here,” he said in Spanish. When told the new precinct was just a short drive or walk away, Laz replied he wouldn’t be going anywhere else to vote. 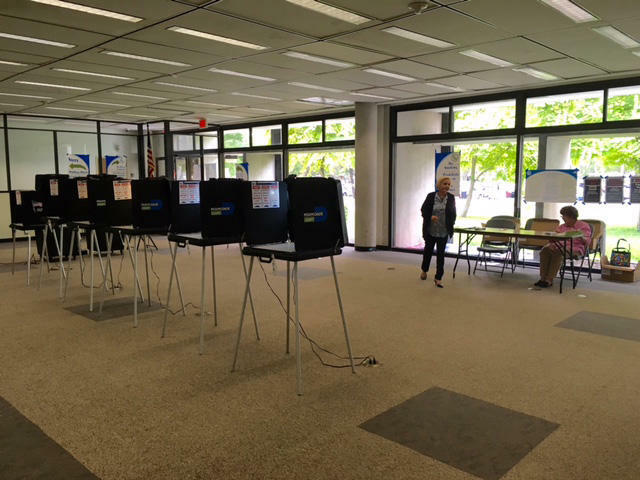 Meanwhile, some precincts were just empty. Charles Dimasio says he will be back at the polls in November for the national elections. "I come here to meet friends, but today I am kind of lonely," joked Charles Dimasio, a Coral Gables resident. 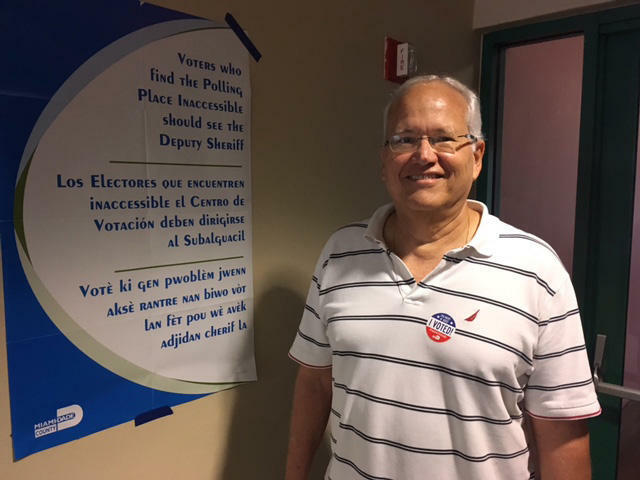 Dimasio said it took him three minutes to vote at the Coral Gables War Memorial Youth Center. But for the handful of campaign workers who were there it was a vibrant atmosphere. Shots of cafecito flowed freely as they traded life stories while keeping a watchful eye for any voters who might be walking up. Today is Florida's primary election. Voters are headed to the polls and in South Florida, filling out ballots for state senator, state representatives, judges and local municipal and county elections. 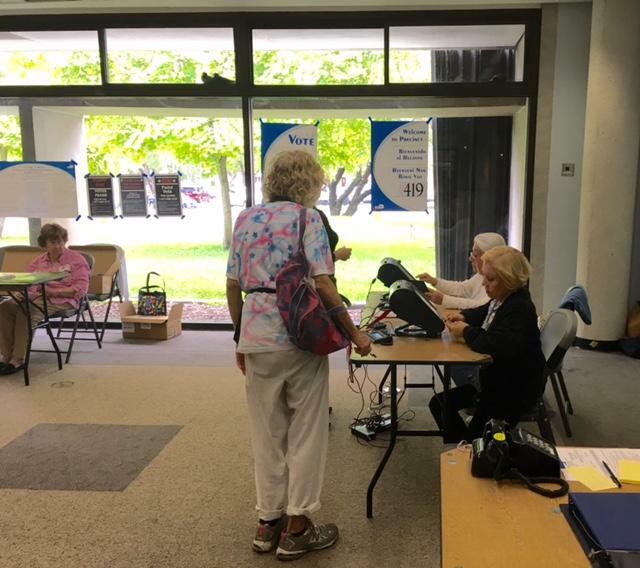 Voters across Florida head to the polls Tuesday to put the finishing touch on a marathon statewide primary election that began more than a month ago.